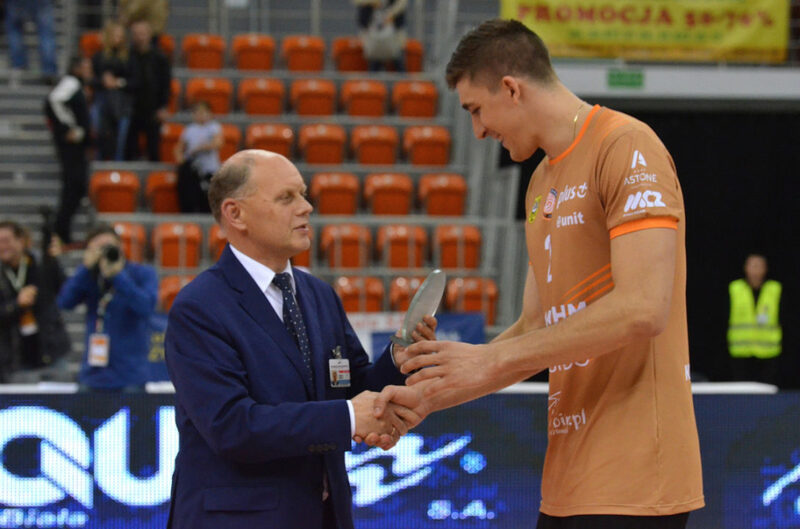 (POL) Zaksa Interested In One Of PlusLiga's Highest Scoring Machines? Tweet (POL) Zaksa Interested In One Of PlusLiga’s Highest Scoring Machines? The 2017-18 PlusLiga season is not yet in its postseason, and Zaksa is already working the transfer market furiously. In the last few weeks, it moved to keep most of its core intact by extending the contracts of Benjamin Toniutti (here), Pawel Zatorksi (here), Mateusz Bieniek (here), and Łukasz Wiśniewski (here). Now, it setting its eyes at players from other teams that are having standout seasons. According to Sport.pl its first target is Lubin’s Łukasz Kaczmarek, one of PlusLiga’s best attackers of the last two seasons. This season, Kaczmarek is leading PlusLiga in attacks attempted with 705 (making 322 of them), as he is clearly Lubin’s most dangerous weapon, often being set 50+ balls in a single game. The 23-year-old 6’8″ Kaczmarek started his career in beach volleyball, enjoying a lot of success in his junior career, having won the 2011 European and World Junior Championship gold medal with Sebastian Kaczmarek and Maciej Kosiak, respectively. He debuted indoors only in 2015. If Zaksa‘s interest in Kaczmarek is indeed legitimate, it could spell trouble for the team’s current outside hitter and former Pepperdine University standout Maurice Torres, who is having less than a stellar season, and may not have his contract renewed with the team if Kaczmarek indeed signs.